London’s alternative festive experience will be hitting Clapham Common this season with its first-ever Ice Rink and Wasted Chic Christmas Market. Featuring Street Feast, Backyard Cinema, Plonk Golf and Twisted Wheels Roller Disco, there is also a massive entertainment programme lined up to suit all ages (including an appearance from the acclaimed South London Soul Train). 15 November – 23 December, winterville.co.uk. From seasonal treats to luxury French and Italian hampers, you’ll find some unique winter wonders at these beautiful elevated public gardens. 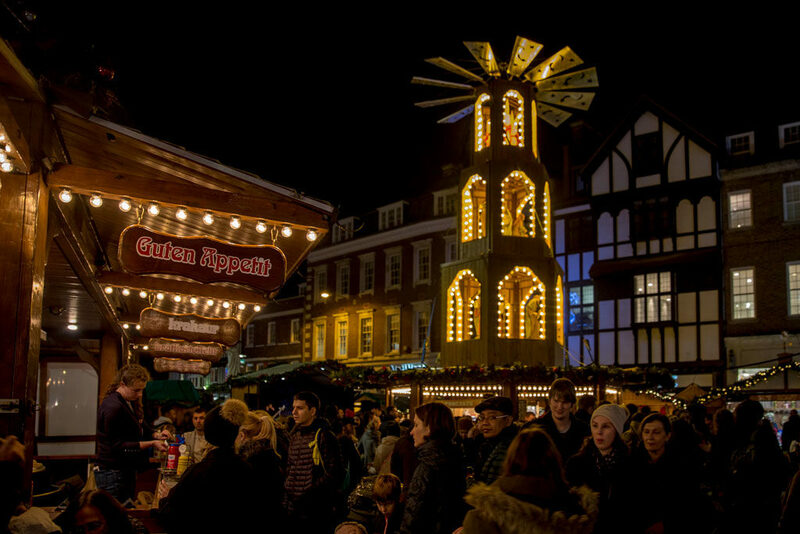 Head down to the Christmas market at Brown Hard Gardens and enjoy a Bavarian sausage or crepe while you browse. Make the most of retail discounts, try your hand at wreath making and enjoy festive food at Covent Garden’s Christmas Treats Bazaar, taking place at St Martin’s Courtyard and Mercer Walk. If you’re stuck for present ideas, there are inspirational gift displays across fashion, beauty and wellbeing, plus a Treat Wheel where you can try your luck at wining some prizes.